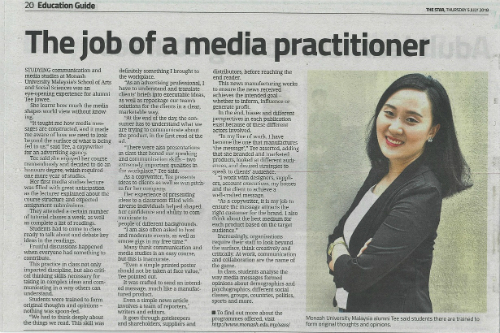 The Star recently shared an article written by alumni Tee Jowee, who shed some light on the Communication and Media Studies course offered in the School of Arts and Social Sciences. "We had to think deeply about the things we read. This skill was definitely something I brought to the workplace," she said.